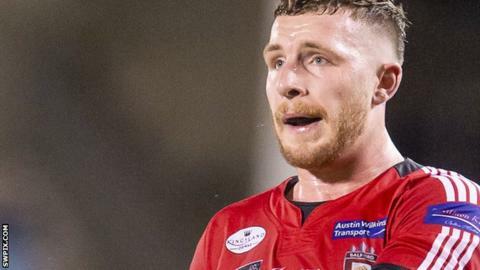 Salford's eye-catching import Jackson Hastings believes the British game is not doing enough to celebrate its home-grown stars. Hastings has become an on-field and social media hit after joining the Red Devils late last season. But he is surprised that home-grown players are not given a higher profile. "We don't respect the good English players enough, and that's coming from an Aussie," Hastings, 23, told 5 live's Rugby League podcast. "I look at teams; Leeds, for example, and Richie Myler tore us apart. But no-one talks about Richie. "That's just one example. Jonny Lomax (at St Helens) is another. I've got all the time in the world to watch him play. He's one of my favourite players, but no-one talks about him. Celebrate him, he's a good player. "You can promote all 12 clubs, but I think there are individuals that can take the game to a new level. Until you use them to go forward, the game is not going to grow." Hastings also believes not enough players are working hard enough to promote themselves, and he wants them to do more to attract new fans to the game. At the end of 2018, Hastings used a cleverly-shot video to reveal he was staying at Salford for another season and to apologise to his mother, when many expected he would be returning to Australia. And he says it should be easy for players to make a much bigger impact for themselves than they are managing at the moment, by using social media better and interacting more with fans. "It's not hard to write a tweet, or give away tickets you haven't paid for, or give away training gear," he said. "It's not a hard thing to do to interact with people. From my experience, not enough players are doing that. "A player walking up to a young fellow at the end of a game shaking his hand, signing his shirt, isn't hard. And I don't see too many players doing it." Hastings also told the podcast that he would still be interested in playing for England, if the offer of selection came his way. A call-up has been mooted in the past, and Hastings has repeated that he would consider pulling on the white shirt. He qualifies because of an English grandmother. "It's a decision I have to make. I have to sit down and think about that seriously. I am eligible to play," he said. "But getting picked is another thing. The England side has been proving its worth in the last couple of years. They were outstanding against New Zealand and the World Cup final the year before. "If the England selectors think that I can play for England, I'll definitely be open to throwing my hat on the rack for sure." Former Great Britain and England international Jon Wilkin believes Hastings' star quality makes him a real candidate for selection. Many would be against him being called up because he does not have strong ties with England, but other sports regularly use similar rules to bolster their national squads. 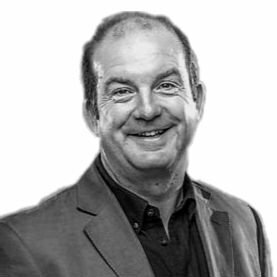 Wilkin, the Toronto and former St Helens forward, told the podcast: "In terms of what Jackson would bring to our England team - forget whether he should or he shouldn't, or whether it's right or it's wrong - is a kicking game and a tactical understanding that we've probably not had in the halves for… well, I don't know if we've had it for a long, long time. "In the World Club Challenge we watched two half-backs (Cooper Cronk and Luke Keary) who understand the intricacies of the game and understand the bigger picture. "The difference between Wigan and Sydney Roosters was that Wigan were playing everything in the moment. "When I watch Jackson playing, he kicks the ball when he needs to, he runs the ball, he finds the right pass. "Players in his position are a commodity in the game. You can list five or six players in the world who are good at it. We need those players to play for England."